Gravity Manpower Consultant specializes in developing customized suite of HR consulting solutions based on the operational models of your organization. With a special focus on small and medium enterprises, we bring practical, results-driven HR practices to your business that helps retain people, improve business productivity and performance of employees. Our end to end HR solutions that are tailor made to suit every unique business need are designed to be cost efficient. The need for flexibility of workforce, improvement in productivity and legal compliance at the workplace is more than ever before. To meet this demand, we at Gravity,offer the right solution that covers almost every aspect of HR needs right from recruitment, salary fitment, on-boarding and induction, employee benefits administration, statutory management, payroll to exit modalities. We understand your concerns on flexibility of employment and associated risks; also the fact that your managers get more productive when they are relieved of many non-core functions. We have established business processes, that offer flexible and cost-effective solutions and address your headcount needs and limitations squarely. Our account specialists are explicitly engaged with one client, handling all the work associated with the flexible workforce. We supply qualified candidates, lower costs, increase productivity and ensure greater employee retention. 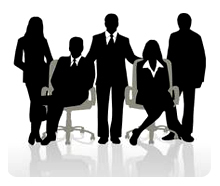 Gravity Manpower consultant In-house Services is an ideal solution for large-scale placement of temporary workforce.